They say that Virginia is for Lovers and Oakton doesn’t disappoint. There are many things for people to do while they are in the area. Whether you are there to check out the National Firearms Museum, or strolling through the Freeman Store and Museum, a toothache is stressful to deal with. While dealing with a toothache might be a nuisance, it is vital that you seek treatment. Oakton has many dental specialists available to help you during your dental emergency. 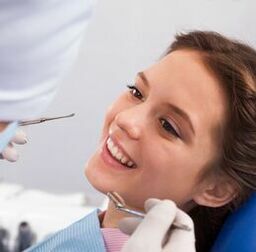 Turn to emergencydentistsusa.com when it is time to find a dentist in Oakton. We have put a list of dentists and dental specialists together local to the area. All you have to do is go through the list, choose a dentist, and call them to set an appointment. You can always call our toll-free dentist finder hotline if you are in a rush or want further assistance. We have team put together to help you during your dental emergency. They are trained to listen to your needs and to help you identify the dentist or dental specialist best suited to serve you. From there, simply choose the dentist you want to visit and we will schedule your first appointment for you. You should plan to arrive 15 minutes early to your appointment to give yourself time to fill out paperwork. Please bring your ID, insurance card, and a form of payment along with a list of allergies and current medications. If you are new to the Oakton area, you may worry about seeing a dentist you are not familiar with. Fortunately, Oakton has many highly qualified dentists and specialists available to serve you. You should first consult with your general dentist before scheduling with a specialist. They can determine if you need a specialist or if they can solve your problem for you. If you need a specialist, they will refer you. Description: Oakton Family Dentistry is dedicated to making sure you feel welcome and comfortable in their office. The office offers many dental services such as whitening, reconstruction, invisalign, extractions, and more. They work for you and offer financing through CareCredit and accept all major credit cards. Description: Oakton Dentistry by Design has a goal to provide the most advanced restorative dentistry services. They use advanced technology in dental services such as preventive, restorative, cosmetic, orthodontics, and more. The office accepts insurance and offers financing. Description: Oakton Dental Center strives to provide patient focused dental care for you. A few of the dental services provided include general dentistry, cosmetic, implants, crowns, bridges, extractions, and more. Dr. Ahrabi accepts many payment options and they can file your dental insurance for you. A toothache can come on at any time. If that toothache lasts you longer than an hour or two, you need to seek emergency treatment as promptly as possible. Should that pain be a result of an accident, you should first go to the emergency room to rule out any serious injuries. Always take the time to verify that your new dentist’s license and credentials are all active. You can do this easily enough by visiting the Virginia Dental Association website and performing a search of that dentist’s name. When you go to your first appointment, you may also check this information with the receptionist at the front desk.